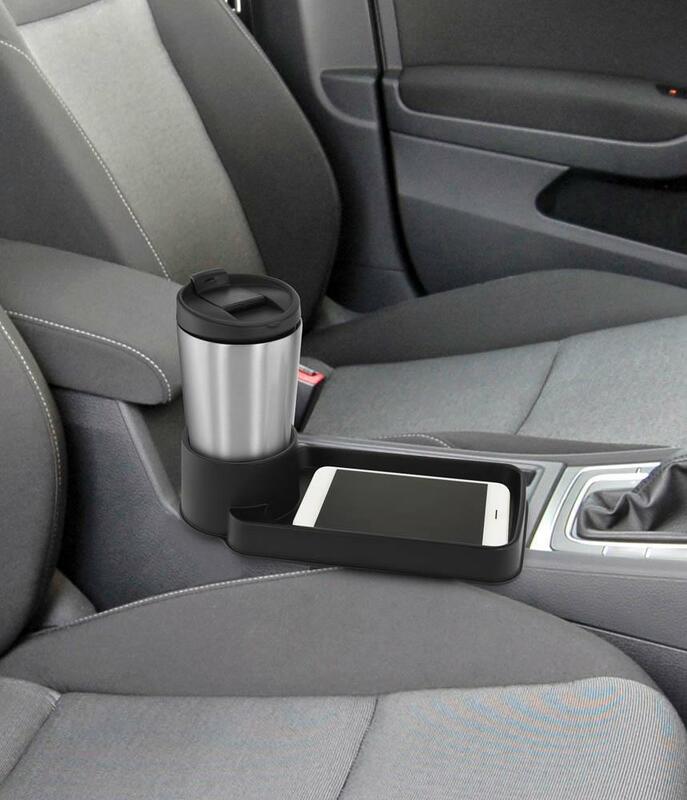 This convenient auto accessory will become your best road-trip partner! 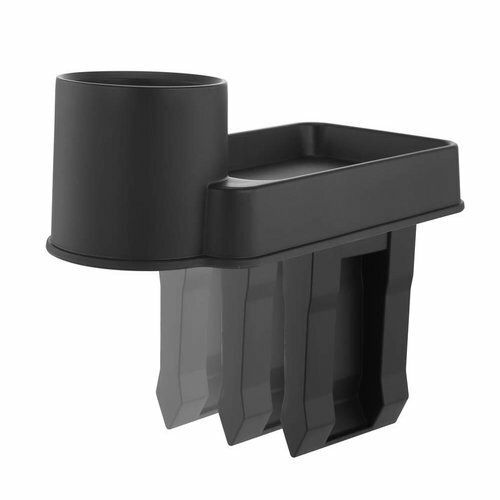 The black plastic tray clips between your front seats and has space to hold your beverage plus a tray for change, your cell phone, and any other small essentials you want to keep within reach while you're driving. Weight 0.5 pounds. 10" x 5" x 2.5". Plastic. UPC Number: 841437109863.